Okay, I am going to attempt to start updating our case files here for the general public. Please understand that there is a lot of information that is being considered confidential for each case. Also remember that the primary goal of Agawam Paranormal is to attempt to provide “piece of mind” to the respective client for each case. This is how we measure our success rate. The individual cases will be referred to by their case numbers that are assigned to every case at the time of acceptance. These case numbers also begin with the addition of our new investigation software that we use, I will not be including any cases prior to the new reporting system. If there are any questions, please feel free to either comment or simply write me an e-mail. This is a local residential case that reports several different ghosts / spirits that are active. There is reportedly the spirit of an older women on the second floor (bedrooms) as well as the main living floor. She has been seen and heard by the owner on multiple occasions. Also of interest here is that the owner’s cat also reacts to the presence of this entity. This spirit is not feared by the owner but simply acknowledged and respected. It is believed that this spirit is that of a previous owner of the house that simply loved the home and never wanted to leave it. As a point of historical fact, a prior owner actually fell down the stairs connecting the main living floor to the bedroom, second floor. While this accident did not result in a direct fatality, the woman did pass away as a result of these injuries in the hospital. The location of this fall is where a majority of the paranormal activity has been reported by the client as well as experienced by the Agawam Paranormal team. The basement area is home to another reported haunting, that of a supposedly young man that might have died on the property. This spirit seems to be much more negative and causes the owner stress whenever they are forced to head down there. Also the cat refuses to go down the stairs to the basement. This spirit, according to the urban legend, was involved in a “drug deal gone bad”. He was supposedly murdered in the basement and buried down there as it is a dirt floor. While there is no empirical evidence of this story being anything other than legend, this is what our psychic has also felt at the location. We are still looking into the possibility of any truth to this portion of the reported activity. Agawam Paranormal has completed our first initial investigation on site and found some EVP evidence as well as quite a few personal experiences. We just returned to this location and were rather surprised by all of the new activity present here. Remember that one of the reported hauntings was in the basement. We set up our static, night vision cameras all over the house including two in the basement area. We also used two different laser grids down there with one of the cameras. Within approximately 15 minutes, both grids were powerless. Two of the investigators that were in the basement reported feeling touched while setting up some equipment. One was touched on the head and the other was on the back of the shoulder. Later on during the evening, a team was finishing up in the basement and as they were going up the stairs, the last investigator felt like someone or something was rushing up the stairs at her. This experience really scared her and she was visibly shocked for quite a while in Command Center. Unfortunately nothing showed up on the camera, at that time. Shortly after that happened, we noticed a light / vapor anomaly appear at the bottom of those stairs. Nobody was in the basement at that time, but it appears as if something was trying to manifest itself. Upon reviewing the evidence from that evening, we noticed a lot of Orb activity was present. We also had a slight startle when someone noticed two glowing eyes watching the camera, until the cat came the rest of the way into frame. Several potential EVP’s were also possible and need to be run through further enhancement and scrubbers. All in all, it was an interesting location for both myself and the team and we are looking forward to possibly returning for another visit even though this case is officially listed as closed. This is a local residential case that reported so much activity that I immediately began to question if there were more than the single spirit that the owners were reporting. There is a family history attached with this property and the client actually grew-up in the house. However, even as a child, she felt that there was something unseen present and was constantly afraid of certain rooms within the house, including her own childhood bedroom. Now as an adult, she is looking for answers. The initial research work was able to document several deaths at the property going back over 125 years. Agawam Paranormal conducted the “Psychic Walk-Through” portion of our investigation and it was felt, by the psychic, that the primary spirit present was there to watch over and protect the client. Our psychic also felt that the spirit was very regretful for scaring the client for so many years, but was simply trying to let her know that it was there. During this walk through, we experienced a piece of furniture actually moving several inches and giving both my psychic and I quite a startle (we were the only ones in the house at the time and the furniture was 3 feet behind me while my psychic was seated in front of me, facing it). One major point of interest here is that the psychic, at this time, did not know any of the client’s history or any reported activity. They always comes in “cold” and completely unaware of the new cases that we investigate. We also captured several EVP’s very shortly after this. The first was the sound of a man’s laughter when we asked about the furniture moving and the other was with a male voice stating that it had moved the object. I was the only male in the house and this was clearly not my voice. One of our investigators is actually a local Police Officer and always takes a “no-nonsense” approach to his investigative work (one can understand that due to his vocation). During his work in the second floor bedroom and closet area, he began to feel that he couldn’t breathe correctly and he began to feel nauseous. We immediately removed him from the location and by the time he reached the end of the street, he felt completely normal once again. Next time I’ll have him try the “good cop” role instead. Upon returning we attempted, at the request of the clients, to make contact with the suspected spirit and encourage it to move on. We employed both our religious beliefs, shared by the clients, and the psychic’s abilities to convince the spirit to move on. A heart felt appeal by the client’s husband seemed to really have an effect as he stated that since she was his wife now it was his responsibility to protect her, but he also thanked the spirit for looking after her for all these years. It simply was time for the spirit to move on and be with it’s own family now and enjoy the rest that it deserved. A prayer was said for the spirit in an effort to make the spirit feel more comfortable. Once this was finished, you could actually feel the difference in the room and the house. The psychic reported that they felt the spirit “cross-over” and that it was now completely at peace. Agawam Paranormal still considers this case to be closed, at this time. However the clients now have piece of mind and that is all that really matters. There are still reports of activity in the home. Shadow people, objects being moved and orbs are only some of the reports from this client. I, at least, can personally vouch for the objects moving part. This is a residential case that is local. This house is physically huge, with four living / usable floors. The “footprint” of the house is easily twice as large as a regular sized home. The reports were centered around the youngest children living in the home. Since this case included children, Agawam Paranormal immediately considered it to be an emergency case. The reports were initially that the youngest children would both wake from night terrors on an almost nightly basis and come running and screaming into the parents bedroom. These children do not share a room and would awaken at different times of the evening, but would react in the same manner. There were other reports of activity from the family, but this was the most disturbing. The research began and the “Psychic Walk-Through” was scheduled. Upon our initial arrival, we became aware of these client’s very strong sense of family and what can only be described as an overwhelming feeling of love that they have for each other. I now believe that it was this very sense of family that the spirit was being attracted to. The team psychic was immediately drawn to two different areas in the home. Both of these areas were where the clients were reporting the majority of their activity (besides the bedrooms). It is important to remember that the psychic knows absolutely nothing about any case that they is brought in on. They began to feel the spirit of an older woman, kind of like a grandmotherly figure but did not feel anything negative about this spirit. What was unexpected for me was that the client suspected the spirit of a young child, according to the psychic, this was not the case here. Once my psychic expressed her theory concerning the older lady, I began to wonder if the spirit was simply trying to contact the children and was not intentionally scaring them. I asked her if the spirit was in the room with us and where she was standing. The psychic said that the spirit was with us and was watching us from the corner of the room. I started talking out loud to the spirit, as if I was speaking to a live person, and explained to it that it’s actions were causing problems for the family. I told the spirit to please stop trying to talk with the children and encouraged it to try and speak to the parents (with their permission) instead as they could feel her too. Of major note here is that immediately after this night, both of the children were able to sleep through the night in their own beds and the night terrors completely ceased and have not returned. Those of you that know me would know that I am very slow to jump on the “Casper Bandwagon” and much prefer a tangible reason or evidence for things, however even I was very surprised at the apparent immediate results where the children were concerned. While my psychic’s word is enough for me to use as to camera placement and EVP locations, we always attempt to use their gifts in getting evidence for the client. We have received numerous EVP’s and EMF readings here that we simply could not explain. Such as getting a reading in the middle of a room, nowhere near any electrical appliance or wiring in the walls or floors / ceiling. We also have a master electrician on the team and even he could not explain the readings. We have also captured some interesting photographs here. I say interesting because I’m not convinced that they are paranormal in nature (again Casper Bandwagon), even though we were not able to reproduce them and the effect observed was never shot on this camera before. We returned to this location after receiving a male voice on an EVP. Remember that prior to this recording, we only captured evidence of a female presence. Once again, we experienced all of the same occurrences in the home, EMF readings, EVP’s, sounds of movement elsewhere in the home. The psychic began to pick-up on the spirit of a man. They felt that he was there against his own will and had been brought into the home due to an object attachment. After completing an evening’s investigation, lasting until almost 5:00am, we attempted to cross-over this spirit. Activity has returned to normal again and the family is doing well. This is a location that we consistently capture evidence every time we investigate there. As such, with the blessings of the family, we are officially closing this case but are simply a telephone call away should this family ever need us. This case was a local residential case in which the clients were reporting sounds and seeing movement out of the corners of their eyes. While I believe that these clients might have been sincere, there were simply too many outside factors involved to accomplish any real investigative work on site. As a result, this case is closed. This case is a local commercial case. The reports were feeling like they were being watched, hearing voices and having objects moved. This activity was reported by many employees. Unfortunately, this client has requested complete confidentiality with the case and as such I am very limited in what I can report. I can say that we did experience major EMF activity, with several meters being involved that were up to 12 feet apart (those of you familiar with EMF readings will know just how rare it is for meters that far apart to react together). This seemed to be actually answering questions asked during an EVP session. A magazine was apparently thrown from a rack, landing 4 feet away as opposed to falling straight down as if it simply fell. Investigators were feeling like they were being watched all night and experiencing the sensation of their hair on their arms and back of their necks standing on end. We also experience a “hot spot” in the middle of a room. There was a 15 degree difference in the temperature that was not explained, as there was no venting or heat on. At one point during the evening, I was in command center setting up the DVR cameras and actually witnessed an Orb float past Jeff as he was setting up a trigger object in front of one of the cameras. What was really interesting here is that Jeff clearly reacted to the Orb and actually saw it move by him. Jeff immediately reported in on his radio what he had just seen and I was able to inform him that I also was a witness too. A trigger item is something that we will place near a camera in an effort to capture some activity. The object changes from investigation to investigation as we always attempt to use something of interest to the suspected spirit. A toy, for example, if we believe that we are dealing with a child entity. On a return visit, I actually became pretty upset at one of the suspected ghosts that seem to occupy this location. We were attempting to make contact with a ghost that seems to haunt this building, we believe it is the ghost of a young man that apparently died in a motorcycle accident. Client reports claim that people, mostly women, feel unexplained anxiety and tension in a certain area of this location. Our Psychic-Medium, claimed that the ghost was avoiding us because we were not going to be afraid of him. I became very angry, for no apparent reason, and started to chew-out this entity as if it were my own son and he had done something wrong. The psychic told me that I had his complete attention and that he was definitely listening to me. They felt that my “parental” approach towards dealing with him actually worked and that he would respect the boundaries that I had established. What is really strange about all of this is that it takes a lot to get me to the point that I am yelling at someone, but what got to me here was that this ghost was acting like a bully and targeting women. This is not a mind set that I generally use on investigations, nor do I recommend it as one. On our final visit, we conducted a dowsing rod session. That was pretty impressive. One of the other ghosts that we believe to be haunting this location is that of a small child. The child seems to be aware of it’s situation but simply likes being there and doesn’t want to move on. During the dowsing rod session, we were able to establish contact with both the child and the young man. Both remembered us from past visits and seemed to be happy that we had returned. What for me, is always amazing about a dowsing rod session, is when you start to ask a question and the rods start to move before you can finish asking whatever you were asking and then they stop part way through the answer and decide that the opposite response is a better answer. One of my Senior (at that time, now a Lead) Investigators had never experienced a dowsing rod session prior to this evening’s investigation. When we were in contact with the suspected child, they was actually moved to tears. This just goes to show how very personal these investigations and cases can become. During the course of our work here, we have captured several EVP’s and had many personal experiences. My only regret here is that I cannot identify this location as some of you have definitely been here before. There’s a creepy thought to go to sleep with tonight. This was a residential case that we accepted after hearing from the client and her husband. She was reporting that she would have her chair physically turned and rocked, as if by unseen hands, on a fairly regular basis…all while she was still sitting in it!They were seeing shadow people, near their front door, heading down the hallway. I received a call from the client one afternoon, she was very upset about something that had just happened to her. She reported that she had just finished eating her lunch in the living room while watching some TV, after finishing she brought all of her dishes into the kitchen and then went to the bathroom to powder her nose before returning to her television program. When she returned to the living room, there was another cup on the coffee table. This cup was in the kitchen before lunch and she was home alone. We were scheduled to investigate that weekend. Once there, we used our DVR system (8 camera) to cover the areas of reported activity. We had a camera placed to look down the hallway towards the front door. The video we captured was quite a surprise to us. There was clearly nothing on the wall facing the camera, when an orb just pops out of the wall and floats down the hallway towards the camera and enters the bathroom. Since you can clearly see that the wall is empty (no bugs or anything on it), you can actually see the orb come right through the wall before heading on to the bathroom. There was also a vaporous anomaly that appeared in the basement in an office area. One of our investigators felt the compulsion to take pictures near the door to a home office (where the chair was being moved) and managed to capture several photos of what appears to be a vaporous apparition forming. Add to all of this the EMF readings that seemed to be traveling around the room and refused to stay still. As well as EVP’s that were captured on site and we had a pretty active location. My psychic “felt” two names during her walk-through. This was recorded on a digital recorder. She named two spirits and asked me to check with the clients for her accuracy. Remember, first that the psychic has absolutely no knowledge of any location prior to her walk-through and also that genealogy is not a part of the interview phase. When I asked the clients as to the names, the husband looked quite surprised and stated that they were his parents!!! Okay I admit it, our psychic really freaked me out with that one. Since we now believed that we were dealing with friendly spirits just watching over their son, we informed the clients that they had to ask the spirits to move on and to stop interacting with the client (wife) as they were terrifying her. I decided to wait for an extended period of time prior to giving these clients their reveal in an effort to be sure that they were able to have the outcome that they desired. After my last conversation with the clients, the paranormal activity in the home has abated completely. This investigation is at local home and is believed, by the client, to be her late husband still watching over her. Agawam Paranormal has conducted several investigations at this site and has been able to capture multiple EVP’s, Photographs, EMF readings as well as our psychic “feeling” two spirits. Not to mention all of the personal experiences!!! On a recent visit to this site, one of my Lead Investigators was in the basement adjusting one of our cameras. Upon finishing that task, he was at the bottom of the stairs (still in the basement) and I was at the top of the same stairs looking down at him. The Lead Investigator shut-off the washroom light (an old toggle switch that makes a crisp snapping sound when switched) and began to climb the stairs towards me. He only got two stairs up when we both heard a distinct “snap” and the washroom lights came on behind him. He stopped, turned around and turned off the lights once again. You Guessed it, he only got back to the second step again and “snap” the lights came back on again. This happened three times. While this was not a scary experience, I was very amused at the expressions on his face each time he was forced to return to the basement. The Lead Investigator then moved a camera to watch the light switch for the rest of the night, but nothing happened after that. He and I were the only ones in the house at that time. It was maybe an hour or so later, that same evening, that the same Lead Investigator (once again) called in to Command Center to ask if there were any people in the house besides his team. They were in the basement conducting their investigation and were alone in the house. Since we had all of our cameras set-up and running, I was able to visually confirm that they were alone. He then informed me that they were hearing the sound of footsteps coming from directly overhead. He followed the footsteps with his digital recorder and was able to capture the very distinct sounds of footsteps from above. This lasted for about 10 to 15 seconds. The master bedroom had a dimmer switch with a night light. The night light seemed to turn on and off and be answering EVP questions. I wanted to eliminate the possibility of mechanical defects (not to mention the possibility of a very real fire hazard), so as I stated before we have a master electrician on the team. We actually replaced this switch, at no cost to the client, with a new one. We were unable to reproduce the effects of the night light after that. Thanks, Carl. We have been able to capture EVP’s, EMF readings, Photographs (Orbs) and again psychic “feelings” from this location on each visit. After one evening’s investigation, the client and her daughter were in their kitchen after we left and began to experience major paranormal activity. The light in the master bedroom began to turn on and off (remember it was a new switch), the heavy wooden side-door actually physically opened and closed (again with them standing there) and then they both began to hear voices that seemed to come from everywhere. This lasted for approximately 15 minutes. On our most recent visit, we once again had paranormal activity running wild. As I’m sure that you have seen on television, we did our version of the “Mag-Lite” test. While I am always amazed when you watch a team on TV getting an occasional flash from their light and I admit that I am also very skeptical of such results, can one safely remove the possibility of coincidence when the test is being conducted on a table resting on a concrete floor or a fireplace heater (again still on the concrete floor) and the light responds 29 times!!! Each of these instances was captured on video and there were no investigators within 3 feet of the light! There were also 12 more hits on the light while someone was, in my opinion, too close to the light to not be sure that they had somehow influenced the situation. We also had a lot of EMF activity throughout the evening but nothing on EVP or photographs. Personal experiences include one investigator being touched on the arm while near the fireplace heater. While I was personally investigating the basement area, I was also training a new Investigator, on her first case. I was using a “Mel-Meter” and was entering what was once a workshop. As I entered this room, I had my EMF meter held out in front of me and had the trainee following behind. She was using a K-2 meter and actually had that held in front of her as well. I noticed a spike forming on my equipment and then actually felt something pass through me (I know it sounds strange, but there really are no other words for the experience). As the feeling abated, I noticed that my EMF spike was dissipating. I then turned around and looked at my trainee. Her eyes were huge and her mouth was hanging open. She had experienced the same exact thing as I did. Talk about an eventful first investigation (and “yes” she is still with the team and is currently a Lead Investigator). This case is now closed, however we are still available for this client for future work. While there is still room for more investigation, we have accomplished our real goal of giving this client back some piece of mind in her own home, and we are only a phone call away. This was a very bitter-sweet evening. This is a commercial business case that is in a local town. Due to the nature of this site, the clients have requested / required complete confidentiality. I will try and describe some of the occurrences that my team and I have experienced on site. To date, we have investigated this location on three separate evenings. On our first visit, the team and I were able to capture multiple Orbs and EVP’s through-out the location. There was also an oddity with our EMF meters in that one investigator was holding her meter and getting very strong readings from it. I would take the meter from her and without moving my hand, the reading would completely dissipate. She would retake her meter and again without moving the meter the reading would immediately return. This was very interesting and continued to happen every time we repeated the experiment. Quite a few photographs taken had Orbs in them. Considering that this is an indoor location with minimal dust present, we were not expecting so many, but there they were. Another investigator also experienced some rather odd happenings in one of the side rooms in that it appeared that there was something moving around behind her while she was seated in front of one of our cameras. She could hear sounds of movement but could not see any physical signs. When we returned, we brought our psychic with us and she felt the presence of a spirit. Note that the atmosphere is very creepy here and I had to chuckle when she and I were doing her walk-through. At one point I had to close a door in order to reach the light switches for an area that we were entering. This put her on the other side of the door, in the dark room. She believed that I was still next to her and let out with a startled little yell when she realized that she was momentarily alone (remember, I was on the other side of the door). For me, this just goes to show the human side of things (even for a psychic). One investigator returned again with us and this time was actually “touched” on her neck during the investigation. We also captured even more Orbs and additional EVP’s. We did manage to debunk some of our own findings here, in that there was a really interesting light anomaly that at first we could not find a valid reason for. Upon reviewing the video evidence repeatedly, we discovered a hanging decoration in the corner of the video that was barely moving but was creating a false positive by reflecting outside light onto the wall. There was also an EVP where an investigator was asking for a sign from anything that might be in the room with her, she asked for a knock. She was very surprised to get a response. On three separate occasions, in response to direct requests, there was a knocking sound recorded. The odd part was that it actually sounded to be coming from very close to the recorder. The recorder was placed on the floor between the investigators as they sat around it. In an effort to validate this activity, she asked for one knock (it knocked once) and then asked for two knocks (she got both) and then for one more (yep happened again). Since we were the only people (living that is) in the location and all other investigators were accounted for, this became pretty interesting evidence. When one adds up all of the personal experiences and the actual evidence captured, it does become obvious that there is something present that is interested in communicating and interacting with people. I recently received another report from this client informing me of additional activity in a new area of the location. I am very curious to see if we can capture anything from this previously quite area. While there is activity present here, we do not feel that there is anything negative or harmful here, just inquisitive. Historical – South Hadley, Ma. This case is being conducted in the South Hadley Firehouse Museum. The clients have not requested any confidentiality whatsoever for this case. While I personally enjoy my work with Agawam Paranormal on all of our cases, I can state that this location and case have been simply incredible and have become a team favorite. This site is seasonally open to the public and anyone can go and possibly experience something there. The Docents there are incredible people that will take the time to share the history and character of the place with you. The clients reported multiple occurrences happening over the years, some in the very recent past. The only reported activity that we did not experience, first hand, was the report of the fire truck actually starting on it’s own with nobody physically near by. They also reported the sounds of footsteps, a mannequin that moves and throws her glove, hearing muffled voices while alone, feelings like you are being watched again while alone. These other reports were also experienced by my team. On our first visit to the museum, we began by setting up our Command Center and taking our base readings for this location. Because I was intending to gather information and photographs for our upcoming “Ghostology 301, Local Lore” presentation, I decided not to use our DVR system and simply rely upon our hand-held equipment. Base readings clearly showed several spikes and even a cold spot in a confined area. The oddest reading was and EMF hit on the third floor near the rear of the building approximately five feet in front of a window. There was what I would call a “beach ball” sized reading that was centered at about chest height, again about five feet from the windows. Anywhere within the “beach ball” we would get a sizable EMF reading, but as soon as the meter was removed from the “beach ball” the reading would completely disappear. We attempted to trace the reading to an explainable source, such as electrical wiring, but could not get even close to a wall, floor or the ceiling with the reading intact. This reading was present on every visit. The impression that I had was that this would be where someone would stand to actually look outside from these windows. Later in the evening, while taking photographs, I was subject to equipment issues. Two of my investigators were working with a “Mel” meter (EMF & Temperature device) while I was trying to take some pictures of them working. The Mel meter would register a spike and my camera would focus close to the investigators and then the Mel meter reading would drop and my camera would begin to focus closer to me as if something was actually traveling between the Mel meter and the camera. This happened, back and forth, for almost five minutes before the camera focused on the investigators and I was able to take the picture. This is very odd because the Mel meter and the camera are two completely different pieces of equipment yet both were reacting to the same outside environmental stimulus. Our psychic was present at this time and reported that this was the spirit of a former Fire Fighter that still was staying-on at the museum. He had become curious about us and was checking us out, but became bored and decided to go back to his windows instead. Our motion sensors were also very active that night, as they would constantly go off for no apparent reason and with nobody even close to them. Overall our first visit was quite eventful and very interesting. Agawam Paranormal teamed up with the South Hadley Public Library to conduct a fund raiser for the library. The prizes here were “Guest Investigator” positions for this location on our second visit. Four people won the posts as well as a t-shirt for the event. Upon our arrival for the second visit and investigation, we decided to use the DVR system and set-up all eight cameras. We had several cameras on each level targeting the “hot spots” that had been active only a few weeks prior. After locking the cameras down (just like on TV), Hope took her team up to the third floor and my team began on the ground level. Initially each team begins by taking base readings of both EMF and temperature, we use this as a template for any anomalies during the balance of the investigation. Jeremy was manning the Command Center and we were discussing the pattern for our work that night. We were standing approximately ten feet in front of the staircase leading to the second and third floors. Note that these stairs are wooden and are half flights with a landing in the middle. Both Jeremy and I heard someone running down the stairs. I immediately suspected that either Hope had sent someone down from the third floor for something or someone had to use the bathrooms on the second floor. We distinctly heard the sound of heavy footsteps coming down a half flight, then two steps on a landing followed by more footsteps on the stairs. We were watching the landing to see who was coming down but nobody ever came around the corner. Our psychic was with my team that night and walked over to Jeremy and I to see what we were doing. She looked towards the staircase and stated that there was a former fire fighter standing on the landing watching Jeremy and I. She had not even heard the footsteps. That was an incredible person experience that was shared between my nephew and I. We had a camera set-up on the second floor, watching the bride. One of my Lead Investigators made it a point of examining the mannequin’s hands and positioning her glove so that it would be secure and not fall. We later returned to this area and discovered the glove approximately five feet in front of the bride and her arm appeared to have moved. Upon review of the video, you can clearly see the glove actually get puled up by one of it’s corners and then fall away from the mannequin. This is an awesome piece of evidence supporting client experiences on site. I received an e-mail from the family that donated the wedding dress to the museum. They were able to give me the complete history of the dress and the bride that wore it, I love this part of the work. They were also able to inform me that those gloves were not a part of the donated wedding dress. Perhaps, that’s why she keeps throwing them away??? Both teams also did some extensive work on the third floor. When we first arrived up on the floor, the “beach ball” was still by the windows in the back of the room. All EMF meters registered the reading, but none could trace it to a source. I assigned my step-daughter, Jodi, to do some EMF sweeps on this floor and returned to the windows. The “beach ball” was gone. Puzzled, I began to try and find it again by sweeping the room with my meter. I found the “beach ball” looking over Jodi’s shoulder as she was working. I asked her to work in another area of the room and was able to track the reading as it followed Jodi to the new location. This went on for several minutes, and several more moves, before the reading headed back to it’s original location of being near the windows. I have no explanation for this, besides the paranormal, and it was witnessed by all members of my team, awesome! Shortly after this, we ended our investigation for the evening. Agawam Paranormal is the only team to ever be invited into this location to conduct an investigation. I can’t really explain to you or put into words just how proud I am of this team and it’s reputation and professionalism to actually be solicited for such an honor. Personally, I cannot wait to return here for future work. Some of my team and I completed the DVR evidence review and were very surprised by the video captured. First let me start with the Bride’s glove. Just prior to the glove falling, one of the guest investigators was standing three feet in front of the mannequin. While she did not have any physical contact with the bride, it was only a matter of seconds later that the glove fell. Now to the odd part, while watching the video it becomes obvious that the glove was “tugged” before falling from the hand. The DVR clearly recorded this. The glove looks like it is pulled and then continues to, after several seconds, fall from the holding hand. I found this to be very interesting. There were also quite a few Orbs captured during the investigation. One camera, which was at the bottom of the stairway, clearly shows simple dust floating down to the floor and then seconds later shows a self illuminated Orb going back up the stairs and actually appears to go around the corner continuing up the stairwell. This camera showed Orbs going both up and down the stairs occasionally. We also had a camera near the top of the stairwell, on a landing, looking up towards the third floor entrance. At one point, approximately one minute after a team left this area, an Orb is seen coming from the third floor and traveling down the stairs towards and then passing the camera. What is really impressive here is that after several seconds, what appears to be the same Orb is seen coming down the stairs by the camera at the bottom of the stairs as it seems to be heading into the first floor areas. While we have officially closed this case, we do intend on returning in the very near future. This was another case that we were able to do for the South Hadley Historical Society and the South Hadley Cemetery Society. This case was for the Old Village Cemetery. Due to a Massachusetts State law that prohibits being in a cemetery after dusk, neither I nor my team had ever actually investigated in a cemetery before, so I jumped at the chance to work here. There are reportedly over 1200 grave sites within its boundaries, some being of local historic interest as well. We were also able to include the winners from the South Hadley Library’s raffle here too. So we had a small army of investigators that night. Being that the site is outside (obviously) and there is no electrical power to the location, we decided to forgo the use of the DVR camera system (I really didn’t see the need for using a generator for this case). We did have an initial problem with energy drain on quite a few different pieces of our equipment. This took some time to handle and fix just due to the sheer number of problems, none of which were individually much of anything, they just ganged up on us . No fair. We decided to establish three different investigation teams and symbolically split the site into thirds, with one group in each. After approximately 45 minutes, we would return to the Command Center to download our instruments into the computer and then head into the next area. All teams were able to work in each section of the cemetery. My team did have some interesting experiences that night. I felt compelled (for lack of a better term) to head towards a single head stone. When we got there, I looked over at one of my investigators and she was weeping. This surprised me quite a bit as she has never reacted like this before. I asked her what was wrong. She stated that she knew the person buried there and had cared for him before he passed away as she was his nurse. This simply gave me the creeps and we did some EMF and EVP work here. More on that later. Later on in the evening, we were in the process of wrapping up for the night and actually heading back to Command Center, when I again felt compelled to approach a particular grave marker. I was coming from the side of the marker and could not see any details or writing until I was right there, practically on top if it. When I looked at the writing on the marker, my mouth just dropped. Remember that there are over 1200 graves in this location and I walk up to a marker for what is in all likelihood the only family that I knew myself. This was a friend’s family plot. I didn’t even know that this was the cemetery that his parents were buried in, and I had never been there myself prior to this investigation. Again this really gave me the creeps pretty good. Throughout the evening Our psychic didn’t really feel very much and wasn’t able to intuit any spirit energies here. So we packed up our equipment and headed back home, hopefully not to have too many nightmares. Cemeteries have a certain “feel” to them, but I believe that we left this one with a feeling of respect and compassion. The evidence review here did show some orbs in the photographs taken and there were several EVP’s that seemed out of place. Most were simply noises that almost sounded like moans (but no rattling chains or anything good like that) or sounds that were just odd or weird sounding. Due to the outside nature of this site it’s really hard to conclude any of them as paranormal, just odd. Several years later, we were invited to return here once again and see if we could update our findings. We, once again, included some charity winners on the investigation. After an interesting evening’s work, while there were a few creepy feelings (I think that’s normal considering the setting) and finding some bones (animal bones, probably a deer) there were only a few more photographs with some glowing orbs to show for the efforts. There was a BBQ going on near by and the music and party sounds really kept us from capturing any audio evidence. Still, there’s something about being in a cemetery at night that just runs the shivers down your spine. Again while we have officially closed this case, we would be very interested in returning. This case is a historical case for the Holyoke Public Library. This case was a part of the 2012 “Ghostology 301” presentation. This client has not requested any confidentiality for the investigation. The Agawam Paranormal team conducted a one night investigation at the Holyoke City Hall building where the Public Library is temporarily domiciled due to the construction of their new and improved address. Our investigation focused solely on the library floor and above. Since this investigation was intended to be used for the “Ghostology 301” program, we did not set-up our DVR system for this evening. The team was outfitted with a series of hand equipment, including night vision cameras, temperature gauges, EMF meters and digital recorders. We then split into several smaller teams and began our investigation. On this case we had the advantage of having Nathan (library employee) with us, he is a site expert and is very knowledgeable about it’s history. While we did not find anything suspect on the EVP end of things, we were able to capture some major Orb activity. Now as you should know by now, I am very quick to dismiss most Orbs as natural objects such as dust or camera lens flare and while we did photograph a lot of dust in the upper rooms and back areas, there were also several pictures that were not as easy to identify. There were some that clearly show a self-illuminated ball of light that seems to be following the team and watching what they were doing. At one point during the evening, my team and I were in the hall directly outside of the library sweeping the area, around the stairs leading to ground level, with our EMF meters. A series of spikes were recorded on the stairs and I took several pictures of the area. When we looked at the results, we were very surprised to find another Orb traveling through all of the pictures almost like it is going down the stairs. This is the same location where a maintenance employee felt that he was touched / pushed while he was working. On the opposite stairwell, I could not get my camera to focus on the landing, it kept trying to focus closer to me. I asked Jeremy to stand on the landing and even then it took several minutes to shoot a clear picture. Once again, EMF readings were present but no Orbs this time. Also, investigators reported feeling like they were being watched here during the evening. These reports were given on site which was obviously before we had the opportunity to examine the evidence. Overall, this investigation was really a lot of fun for us as the building itself is just incredible and an interesting place to visit (unless you are paying your taxes there). We are hoping to return back here soon. This is a local residential case. The client had recently lost his mother who had lived with him due to health care considerations. The client’s father had passed away several years prior so he became the primary care giver. This case was more of a curiosity matter than a haunting issue. The client simply “felt” like he was not alone and that he hoped that it was his mother just visiting. This wasn’t a case where the client was being terrorized of the paranormal, just very hopeful. Agawam Paranormal conducted an evening’s investigation on site with a full crew and equipment. We did experience several EMF readings that were very odd and I have no real explanation for. Our psychic did “feel” the presence of an older lady in several rooms within the home. She wasn’t aware of it then but these were the rooms that the client’s mother liked to stay and live in. The psychic also had no information about this location or case as to what the client was hoping to find, all pictures and other such personal items had been removed by the client. During an EVP session, Our psychic began to speak to who she believed was the client’s mother. She was asking her to speak to her son by talking into the red light on the recorder. The psychic repeated what the mother, reportedly, said “Why do I have to talk into that thing, I talk to my son all day long”. There were several other instances where our psychic was repeating what she was being told. All had the inflections of the client’s mother. One thing that I have not revealed as of yet is that I am personal friends with both this client and his family, I knew both parents myself and actually called them “Mom” & “Dad” too. I can attest to the fact that the way that our psychic was replying to the EVP questions, she was a perfect impression of the mother. Being as this was our final case of 2012 before our holiday break, it was also the last case to be reviewed because of the back log created by technical issues (don’t ever buy a Westing House television). We finally caught up. Upon reviewing this case and the video evidence, we noticed several Orbs in rooms that the client’s mother lived in. These rooms all have hard wood floors and there wasn’t any real dust or air borne particles present throughout the home. We also captured several EVP’s during our investigation, however only in the mother’s bedroom. While we did not capture any voices, we did get a knocking response and several other sounds including breathing. The recorder was placed on a “hope chest” away from the team. We also captured two still pictures with an Orb in each of them. These were obviously not dust and were self illuminated and glowing. They also appeared to actually have a face inside of them. While we are not, at present, planning a return visit this client has been given piece of mind and now feels confident that it is his mother visiting him. So many of the paranormal cases that we either take or simply hear about are centered upon fear that it was very refreshing to actually conduct one based on a son’s love for his mother. The Agawam Paranormal team found it to be very uplifting. And bottom line, the client knows that we are only a phone call away if needed. Historical – West Springfield, Ma. This case is for Ramapogue Historical Society of West Springfield and was conducted in the Josiah Day House. We have been to this location three times and have now closed this case. This location will be highlighted in the 2013 version of the Ghostology 301 presentation. The client reports are the sounds of footsteps from the second floor and an apparition appearing in a front window, again on the second floor. There are also several rooms / areas that feel creepy to visitors and they feel like they are being watched. One room is actually avoided by some visitors completely. Being an historic site, my team and I were very excited to investigate this location. Agawam Paranormal is the only team that has ever been allowed to investigate here, again that makes me so proud of this team and it’s reputation. Upon our arrival, we were approached by a professional filming crew and they requested that they be allowed to record my team and I during the investigation for a documentary on spiritualism that they were working on. They apparently were friends of a guest of the client, so I agreed. They had me wired with a digital microphone and proceeded to follow my team around the location. One thing that I thought was pretty interesting was that this crew’s day job was doing this sort of work for Martha Stewart. When my team left Command Center to begin our investigation, we first stopped in what had been the kitchen area. We started off by taking the base readings for the room, as is our standard procedure. While standing in front of the brick-oven fire place, I felt something tapping on the “box” part of my wired microphone that was attached to my waist. It felt like it was being rhythmically tapped like to get my attention. I immediately made comment of this to the team and one of the investigators came over to me and took some EMF readings where this was happening. The meter went crazy. This went on for maybe fifteen seconds and I attempted to get it to follow me into the next room. The tapping stopped and the EMF reading was also gone. We then went back to the kitchen and the reading from where I was standing was also gone. Throughout the evening, almost all of the team was feeling uneasy and creepy during the investigation. Most of these feelings occurred while we were on the second floor and in the attic area. The client reported to me that he had experienced something rather odd while he accompanied a team, again on the second floor. He was standing just outside of a bedroom, while his team was doing an EVP session in that room. He stated that he heard a tapping sound coming from a window right behind him. He went to this window and tried to rattle it in it’s tracks, but it was solidly in place and didn’t budge even a little. Upon reviewing this section of the camera evidence, I was very surprised to see that when he turned towards the window, a self-illuminated orb actually went around him and entered the bedroom. We also found four other orbs on video that evening. Now I can usually eliminate most if not all orbs that are filmed as explainable by dust, bugs, etc… this was not the case here. The location does not have any heat inside, so it was way too cold for bugs. It’s all hardwood flooring, so there is a minimal amount of flying dust (and dust is pretty easy to identify, most times) and there was no water vapor in the site. Also what is of interest here is that all of these orbs occurred in places reported as active by the client and with the exception of the orb that I mentioned prior, nobody was even on the floor as they happened. I found this to be very interesting. The audio evidence that we recorded that night was contaminated by outside vehicle traffic, so I don’t give it any credit. The still photography was also inconclusive that night. On our second visit, we experienced some pretty interesting things. Our psychic, upon arriving, felt that there was the spirit of a woman watching us unload the vehicles from the second floor bedroom window. She also felt the presence of a small child spirit on the first floor (he likes to hold hands, by the way). Upon the psychic going up to the bedroom floor, she felt a very strong presence near the attic area. Of note here is that the client had recently told me that they had some students volunteer to do the “spring” cleaning and that one student felt that she was being watched the entire time that she was in that room. There were quite a few personal experiences that evening. At one point, an investigator was working on a camera in the bedroom, and could clearly hear the sound of a bouncing ball in the same room. Needless to say, there was no bouncing ball there. Investigators also reported the feeling of being watched during the whole evening and being anxious and apprehensive as well. Equipment was also being effected in the house. We would constantly observe the motion sensor, in the bedroom, going off. Even when there wasn’t anybody on the floor. During EVP sessions, we would also get K-2 hits when certain questions were asked. There was even the captured sounds of furniture moving on the second floor, while nobody was up there. Nothing appeared on camera during this time, however. The experience of the night had to be when a Lead Investigator was upstairs adjusting a camera and she observed as another member of her team entered the room and passed her. Once she had completed the camera work, she turned to address the other team mate, she wasn’t there. She immediately radioed in to Command Center and her missing person had actually been down there the entire time, they were never in the room with the lead. Needless to say, this really creeped out both investigators. Upon review of the evidence from this evening, we found that we actually captured several EVP’s and additional video. There was also a photograph captured that seems to show a woman sitting watching the team. Obviously, there was no woman present (that we knew of anyways). The interesting part with this photograph is that there was a series of three pictures taken about one second apart and only the second picture shows anything out of the ordinary. The first and third photographs are empty and only show the investigator. My team and I returned for a third visit and worked exclusively in the attic area. I conducted a dowsing rod session (that we recorded and filmed). We received some pretty interesting results and a possible answer as to who it is that seems to be haunting the location. This location was very interesting for the team and I. We were recently informed that we were more than welcome to return and do some additional investigations on site. I consider that invite to be very high praise and am extremely grateful for any future opportunities. This case is for the Storrowton Tavern and will be one of the locations highlighted in our 2013 version of the Ghostology 301 program. This was one of the sites that our resident psychic was (pardon the pun) just dieing to get into and investigate. She had been here several times in the past, for dinner with her family and always felt that there were spirits around the premise. She picked-up on the spirit of an older lady each time she would visit the location, but believed that there were also several other spirits present in the background too. I remember when our psychic first joined the Agawam Paranormal team, that she had suggested that we conduct an investigation at the tavern. So I told her to try and set-up a meeting between us and the owners to see if an investigation was a possibility or not. She jumped all over the project and the owners were very receptive to the idea. Agawam Paranormal is the only team to be allowed to actually conduct an investigation at this site, once again I cannot understate the sense of pride that I feel for being given this opportunity. When we first arrived at the Tavern, we were greeted by several employees that joined us for the evening’s work. I do feel that it is very important to include the clients in their investigation due to the simple fact that they are there all of the time (or so it seems to them) and are generally aware of the creeks and moans of the building. I look at the clients as site specific experts and always add them to the teams, if possible. These people were a very welcome addition to the night’s roster and also (maybe even more importantly) had an awesome time. Since this site is a business, we began our evening later than normal for us and ran until the wee hours of dawn. We started with a walk-through of the Tavern, having the clients explaining just what they felt or experienced in each room or area. While Carl was not available for this investigation, it is noteworthy here that he actually worked at the Tavern when he was younger. Carl had also had experiences here and told me of them in great detail. As a result, I was already planning our static camera and other equipment placements. After the walk-through, we began to set-up our equipment and Command Center. We just added some new IR Iluminators to our arsenal and decided to give them a try. I was very surprised at just how much more light they added to the static cameras, they were a perfect addition (now I just had to design a mounting bracket). We covered the entire restaurant, bar area, kitchens and banquet rooms with video. I have to say that you really don’t realize just how big this place is until you are running the wires back to Command Center. We then began our investigation with our group prayer and issued out the hand equipment. I was able to have both teams active at all times due to the above mentioned size and multiple levels of the Tavern itself. This makes it a lot easier to investigate a site because there is only a limited amount of “down” time. Some places are simply too small and one team has to stay in Command Center while the other investigates. Space was not a problem here. Two teams were used here at the Storrowton Tavern. We were able to keep them at opposite ends of the buildings as well as on different levels. One thing that we noticed in Command Center almost immediately was that there weren’t any dust particles floating by the static cameras. On most investigations, in even the cleanest of locations, there is usually a fair amount of air-borne particles moving by our cameras on any slight current of air. Here, there wasn’t really anything showing up on screen at all. During the evening, several investigators reported to me that they felt like they were being watched. Amazingly, the EMF meters seemed to support this conviction as they were lighting up while the investigators were feeling strange. While not really rare, this does not happen all of the time. Most times there is no empirical evidence to support these claims and they become simply personal experiences. But here, the meters were quite active and their readings were not traceable to any man-made source. This is not to say that some of the appliances present did not give off false positive readings but those were quickly explained and eliminated from the potential evidence. One of the teams was working on an EVP session in an upstairs banquet room and as they were all sitting in front of the static camera, a very bright orb seemed to be checking them out. All of the furniture from this room was stored in the center of the room because the carpets had just been cleaned. The center is the dance floor for the room and is polished hardwood. Due to these circumstances, I couldn’t explain these orbs as natural elements. Pretty interesting on camera, I can tell you. We took a video of a dowsing rod session that I conducted in one of the banquet rooms. Our psychic had stated that there was a woman in this room and that she would be watching us. While the psychic was with the other team, another investigator is also sensitive to psychic energies too and she was with this group. The dowsing rods were very active during the beginning of the session, answering all questions accurately (based upon historical research and the psychic’s intuitions) and without hesitation. This is always very impressive to watch, however maybe half-way through my intended session the dowsing rods simply stopped moving and refused to budge. I looked up at the other sensitive investigator and asked “What happened?”. She just chuckled and said that the spirit of the woman that I had been talking to got bored and left to see what the others were doing. Talk about an ego buster. One thing that I found to be very interesting, was that during the actual “dowsing rod” session, the orb activity in the room was active too. Once the session ended, by the bored spirit leaving the room, the visually recorded activity also ended. Was this the manifestation of the spirit of the woman that our psychic had picked-up on? I don’t know for sure, but it is quite interesting and thought provoking. Another thing that we have noticed during our investigations is that a reported spirit that is making it’s presence known usually wants and welcomes the possibility of communication with the living. Here we found that the spirit energies were really at peace and simply were enjoying their surroundings and wanted to be there. This, in my opinion, speaks very highly for the location and the way that it is being run and the people that currently work there. I believe that the positive energies from the employees and patrons is a main reason that these spirits may be staying here, they feel welcome just like everybody else that visits. During the evening, there were several personal experiences by the teams. These included investigators feeling cold spots touching them (temperature meters reported no changes). One team reported hearing the sound of whistling, in the bar area. This sound was heard six to eight times (I am currently not convinced that this experience was paranormal in nature though, while unlikely, it could still have been outside noise contamination). At one point during an EVP session, a K-II meter responded to questions asked about a previous employee that had recently passed away (not on site). Of interest here is that her friend had joined the group for this EVP session. This employee had stated that she felt that her friend was sometimes there “looking out for her”. This was when one of the nearby EMF meters chose to go completely nuts. Was this an answer to the employees’ question??? One investigator said that she felt “touched” on the top of her head during an EVP session and another reported being touched on her arm too (in a different part of the building). Creaking footsteps were also heard coming from the room above and when immediately investigated, nobody was there to have made the sounds. One of our investigators is very proficient at the use of crystals and pendulums. She used them here and received several answers to questions asked about a resident spirit. She believes, based upon the reply’s given, that there is a male spirit present that was a custodian with the building in the early 1900’s with a first name that began with the letter “A” (possibly Adam) and that he is one of the main spirits that employees feel in the kitchen areas. While at face value, I tend to categorize this type of evidence generally as personal experiences (including dowsing rod sessions) sometimes they do provide insights and details that add a richness to the investigations. It really is very “spooky” to actually witness either a hanging crystal or a pair of dowsing rods start moving on their own volition. While I cannot even come close to explaining just why these things happen and seem to work, they do. I can’t explain how a computer works either, but they do too (for the most part). Overall, this was an awesome investigation and an incredible location. We were able to experience the unknown and even document some of those experiences. I am hoping to re-visit this location next year and further the investigation (after I bring my wife here for dinner). I highly recommend this site for both it’s atmosphere and the menu, both are very enjoyable and pleasant. Just ask the resident spirits. My team and I were invited to return to this site for a follow-up investigation. On this visit, I included two investigation teams and was able to invite several charity winners too. The activity started shortly after we arrived on site as one of my psychics and a Lead Investigator were setting up our equipment, in one of the banquet rooms, and the psychic felt the presence of a woman pacing back and forth between a side facing window and one that faces directly away from Memorial Avenue (towards the rear of the building). She was described as being approximately 5 foot 6 inches tall and having brown hair that was pulled back and was wearing period dress with long sleeves and a high collar as well as what could have been either an apron or it could have simply been a part of her dress. The psychic also got the name Anna. Of direct interest here is that throughout the investigation equipment was reacting to an unseen presence exactly where the psychic said that Anna was. The motion sensor would go off quite often as if someone was walking back and forth between the side and rear windows. Sound familiar? At one point, I sent two investigators up to that room to switch that motion sensor with another one from a different room. The new sensor had been completely quite that night. After switching the equipment and heading back to Command Center, the new motion sensor started to register the same movement between the same windows. Also at another point of the evening, a Lead Investigator was looking into the small attic space and noticed a mirror showing a reflection of someone standing there. The Lead quickly turned around to see who was behind her and (yes, you guessed it) there wasn’t anyone there. The reflection had also disappeared too. Throughout the evening, our EMF meters were very active and while I would explain most of that to be natural/man-made due to electrical devices and the like, not all of them could be explained away like that. Also, our Parascope was very active and responsive on request. The investigator would ask if the spirit present could move the lights from one side of the device to the other, they would move almost every time. While down in the basement food prep area, one of my Lead Investigators actually had her hair pulled by something unseen. Remember, for a member of Agawam Paranormal to be promoted to a Lead Investigator position, they are highly trained and very calm under pressure. She was the complete professional all the way. This was caught on video and something actually floated past the camera a second or two after the hair pull! Pretty cool, if I do say so myself. As far as potential evidence from this visit goes, we were able to get some interesting videos of Mag-Light activity, motion sensors going off while nobody was in the area and some nice orb videos too. There was a knocking noise, on request that was captured as well. But due to all of the electrical equipment on site, there was very little audio. It was simply too contaminated for any potential evidence to be recovered and captured. We will be returning, this year, for our third visit on site. This time I will be including my good friend Chris Pisano from Channel 40, and his film crew as we film the annual Halloween News Special for 2018!!! Residential – Feeding Hills, Ma. This case is a local residential site. The client reports feeling like she is being watched and is not alone in the house. Her husband passed away many years ago, but these feelings started in the last two years. There hasn’t been any additions to the decor of the home that coincides with the apparent beginnings of the activity. Upon our arrival, our psychic did her walk-through and reported the presence of a male spirit in the home. She believes that it is the spirit of the deceased husband that has always been there but for some reason, apparently known only to the spirit itself, began to become more active in the last two years. While my psychic did not accurately state the name of the husband, she did pick-upon the hard consonant sound of his name. She has done this before. One example is that she was feeling a woman (in another case) that had an “L” name. The name was “Alice”. This is what she did again here. The investigation proceeded through the home, with the client participating. At one time, a team was conducting an EVP session in the kitchen and the Mag-Light was on the counter top. It began to light up during this session, 6 times. Beyond this possible activity, we noticed that the house was subject to measurable EMF fields. What was very odd about this was that the meters would register activity in the center of most rooms, but it couldn’t be traced to a wall or the floor. Each effected room simply was filled with EMF in a “free-floating” oval shape that was almost the size of each room. We have never encountered this type of a reading prior to this case. It did not appear that the EMF was moving, but just present in each room. We were at a loss to explain this feature. In conclusion, while the client’s claims can possibly be attributed to the EMF readings and a sensitivity to such fields, this does not account for the psychic’s intuitions or the Mag-Light experiment. Also the research done on this location does not seem to point to any possible problems. This is a local commercial site. The client here has a life-long history with this property. His father owned the location while the client and his brother were growing up. They always felt an extreme apprehension in one area in the basement and a room that was used as a maid’s room in the attic. This property is a converted mansion. Today there are actual employees that work there that refuse to go into these areas of the building, even without knowing the history. They simply feel that there is something there themselves. On our first visit, we began by setting-up our static cameras, highlighting the reportedly active areas as well as other areas of interest. We also used our motion sensors and the thermal sensor too, setting these up where the majority of traffic would pass by. Since this is a very large location with four floors to investigate, we decided upon two cameras per floor. It wasn’t long before the equipment started reacting to something. The motion sensors would light up while nobody was even on that floor and the thermal sensor would also react, again with nobody around. We did start registering quite a lot of EMF activity. However, we were able to debunk most of these due to older electrical wiring in the basement. But interestingly enough, the areas with the debunked EMF hits were not the areas that had (pardon the use) “haunted” the client or his brother. While the older electrical wiring did eliminate some of the hits, it did not explain all of them. There were many that we could not explain or trace out to a source. One of the investigators present that evening is psychically gifted, and felt that a man was “in her face, screaming at her” while she was working in the basement. She also reported feeling touched and pushed while in this area. This was the same area that the client claimed activity. EMF hits were recorded around the investigator while she was reporting the physical contact. EVP’s taken during this investigation revealed what sounds like a man’s mumbled voice and a ladies whisper. While the words are impossible to determine, the sounds of the voices are clear. Meaning that even though we don’t know what they were saying, it is very clear that there is something there being said and it wasn’t our people. The static cameras captured a lot of Orb activity here. However, due to the building itself, I ruled most of these out as simple dust particles. There were several Orbs that did not appear as dust and those were the ones of interest. Including one that actually appeared to activate one motion sensor as it passed by. At one point, late in the investigation, one of the teams were investigating on the attic floor and actually found artifacts from a previous occupant. These included medicine bottles, of varying sizes and shapes (some still with the labels attached) and some homemade doll’s clothes. This find really excited the team as the Research Department had already completed their preliminary work and we knew that there had only been one little girl that had ever lived there, Emily. Emily’s father was also a (wait for it…) Doctor. Based upon the labels, the Research Department was able to determine that these products were, in fact, from the same time that Emily and her family lived there. This was awesome because so many times we just have the stories from the past but here we found real history. Just thinking of this little girl playing with her dolls and her mother (assuming) making her new clothes for her, just really made this case become personal for us. During our second visit here, more evidence was captured pointing to a child spirit in the attic (Emily) as well as a former maid (Anne) who’s quarters were in the attic too. Following an evening of EVP’s and more anomalous EMF meter readings, my psychic told me that she felt that both the maid and the child spirit needed our help to pass on. I then spoke to the client and asked him what he wanted us to do. He immediately stated that if we could help them, then to please do so and try. We went up in to the attic area again and went first into the maid’s old room and lit a blessed candle and began to pray for her to be able to move on. Our psychic wasn’t sure if this worked or not as she was having a hard time “reading” the energies present in this room. We then moved on to the main area of the attic to begin again, this time for the little girl. We set up her doll clothes and other items and then re-lit the candle. After praying for several minutes, the psychic reported seeing the little girl moving into “the light”. As she was leaving, she turned and waved to her thanking us for the help. On our third and final follow-up visit, the team was able to communicate with two other spirits that apparently still resided in the old mansion. The first was rather strong and we believe that he was a previous owner of the property named John. While he had been there the entire time, he simply didn’t want to speak with us during previous visits as we were uninvited strangers in his home, from his perspective. The second was that of a former maid who was actually very excited to finally have the attic area for herself. Since we had released the child spirit, the maid apparently now felt that she had an area to herself as well as some privacy (which was something that she apparently had very little of in life), since nobody really ever comes up to the attic. Both of these spirits were happy with the client and his efforts to return the mansion to it’s former glory. The spirit of John was rather disappointed with the condition of the neighborhood but was very pleased with the client’s renovations and work in his old home. We decided to end this investigative case at this point as all of the client’s objectives, for us, had been accomplished and he was very happy with the results collected. Overall, this was a very active location that I would not mind returning to again someday in the future. Commercial – West Springfield, Ma. These investigations were held at the old Knight’s of Columbus on Park Street. This location has been torn down and rebuilt into a Credit Union. I wonder if the current employees are “interested” in the paranormal too (I know, bad. But I’m here all week so be kind to your servers). There were quite a few reports of activity throughout the old building including a misty form appearing in the basement, the basketball machine starting on it’s own and also keeping score as if someone was there playing it, feelings of being watched throughout the location and people reporting that they were being touched by something unseen in the upstairs hall, just to name a few. We visited this site on two separate occasions and I was, once again, able to include some charity winners too. During the course of our visits my people were able to experience many of the client’s list of activity. At two different times and areas, different investigators reported seeing shadow figures both in the basement and sitting in the rental hall watching us. Both quickly disappeared once noticed. The basement was described as having a very “creepy” feeling. Now I personally feel that most basements have a “creepy” feeling to them but this one took the cake with more information being learned at a later time (more on the basement later). My people and the charity winners were all reporting that they were being touched while in the basement and in the rental hall. Their reports stated touching on their hands, arms & legs (thigh area). The guests were very nervous about that as one doesn’t get to experience that while watching the guys on TV. Even my psychic wasn’t immune to the activity here. While she was going upstairs to set up a motion sensor, she felt that someone was rushing straight at her. This caused her to return to Command Center and ask another investigator to accompany her back to the area. The psychic also felt the presence of a male spirit that roamed about the location but liked to make himself felt in the basement, game room & the rental hall. There was also the spirit of a woman who really liked to walk up the main stairs to the rental hall and then back again. After our investigations were completed and the potential evidence reviewed, we had some interesting audio of an unseen source dropping the “F” bomb. This was actually recorded on two separate recorders. Add to that, some photos of glowing orbs and then some really good video of bright orbs seemingly interacting with the investigators, and you have a compelling case for the paranormal. Some months after our investigations were finished, I received a phone call from the client informing me that the building had been sold and that the new owners had decided to demolish the site and build again. One thing that I did not mention earlier about this case was the historic research. The Research Department put together a very comprehensive historical account of the building, lot and area surrounding this site, including the people that were associated with the location. Everything looked fairly normal except that two people were unaccounted for after they had died. We couldn’t find a single reference as to where they had been buried or anything. Now back to the phone call, when the new owners were removing the cement flooring from the basement, you guessed it, they found a tombstone underneath with the two missing people’s names engraved on it!!! I was later giving a presentation to a group of business owners and included this site as a part of the program. I was approached, afterwards, by an individual that confirmed the find as he was involved with the new owners in some capacity. I asked him if they had found the bodies as well. He couldn’t comment either way. What do you think? This case number was created for a potential residential case that never happened. Historical – Feeding Hills, Ma. This case was for the Thomas Smith house in Feeding Hills and was for the Agawam Historical Association. This building was constructed in 1757 by Thomas Smith. Much later, after being sold to several different families, the Agawam Historical Association purchased the property (2001). The Association then began the painstaking process of restoring the home and property to their previous splendor. After a number of years, they succeeded and then opened the home as a museum. The location holds many antiques from both the house itself as well as other time appropriate pieces. This location was added to the National Register of Historic Places in 2005. During the course of our two visits here, my team and I were able to experience many different happenings. We were getting EMF readings that seemed to constantly be moving around the house. There were several extreme temperature anomalies too. In several locations, the temperature meters would jump up to over 100 degrees and then return back to the ambient temperature of around 68 degrees. Our team psychic also sensed several spirits here too. She picked up on the presence of a young boy that loved to run around the house, it is believed the he is an intelligent spirit. She also felt the presence of many other children that were also at play, but she believed that these children were only residual in nature and not actually present. She felt that these children were the siblings of the first little boy. Interesting here that the young boy considers his residual siblings to be real and he is in a perpetual state of play with them. We believe that this is the reason that he stays and doesn’t want to ever leave. My psychic also felt that there was a little girl staying on the second floor as it is believed that her bedroom was up there. This spirit did respond to some of our questions by using either a Mag-Light or one of our EMF meters. She indicated that she was lonely here but apparently didn’t want to leave. Between visits, Hope went out and purchased an antique doll for the little girl and we left it in her old room for her to play with and enjoy. She was very happy with that. The doll is still there today. The psychic also picked up on another intelligent spirit in the basement. This spirit, she believes, was a former slave attached to the property and used to work in the fields behind the location. When asked if we could help him, he merely told the psychic that he wanted to be left alone. During the historical research, there was never a mention of slaves being forced to live and work here but a friend of mine knew otherwise. My friend’s father was the last person to be raised in the house and would tell stories of the old days when there was slave labor present. While I obviously do not condone slavery, it was interesting to see history converge with the present. While one of my teams were investigating the second floor, I (in Command Center) noticed a bright ball of light floating around in the basement. This was obviously not a bug (no wings fluttering) and was way too bright for dust. The President of the Historic Association was sitting next to me watching too and asked me what that was. I had to say that I didn’t know. I radioed the team on the second floor and asked the Lead to take one other investigator and head down to the basement when they were finished upstairs. Note that I never told them why they were going to the basement. A few minutes later they headed down. During this entire time, the orb was just floating all around the open basement but when my people entered, you can see the orb directly reacting to them. It first came towards them and then shot across the camera to head back deeper into the room. After a few more minutes, I called my team out. One possibility that I was considering was that maybe a small spider was building a web on the camera so I sent my Technical Manager down with a polishing cloth and had him check the camera face. Nothing was there but amusingly enough you could see the orb pop over his shoulder as if to see what he was doing. All together, we captured 33 minutes of this orb on video. Besides the awesome video that we captured, there was only a couple of photographs to add to the potential evidence from the site. Due to it’s proximity to a busy road, all audio was pretty much useless as there was just too much outside interference, including a neighborhood party. However, several personal experiences were reported to me. One investigator reported that she was touched on her back and several others said that they could hear people walking around on the floor above them. EMF meters were also rather active here too. It is my hope that we will be able to return here once again some time in the future. Historical – North Adams, Ma. This case is for the Houghton Mansion in North Adams, Massachusetts. This was our “Field Trip” for the year and actually ended our investigation season for2013. While the Houghton Mansion has been investigated by many “television” teams with reported major experiences and activity, I was not at first impressed by the location, from a paranormal point of view, at least that’s what I thought initially. Agawam Paranormal made arrangements to investigate this historic location for an over-night & private 13 hour visit. We arrived with 23 of our members and family. All having high expectations, based upon previous reports. We split up into 4 teams and began to set-up our equipment for the investigation. All areas of the mansion were covered and examined. While my team did have some activity such as EMF readings (unexplained) and dowsing rod activity that seemed to properly answer questions, the evening seemed rather uneventful. The remaining three teams also reported similar activity throughout the mansion. Since this case was intended to be our “season finale”, I was not in a rush to complete the evidence review as due to a very busy library schedule we always fall behind on client reviews and they always come first. Long story short, I completely forgot to revisit this case for review until much later and I was amazed with some of the results that we captured there. We did find very clear EVP voices answering direct questions and quite a few photos as well as some video of unexplained Orb activity. Now those of you that actually know me, know that I discount most Orbs as simply natural occurrences such as dust. This explanation however did not seem to fit each instance and once again I am not claiming proof positive of Casper, but it is really thought provoking. While investigating such a historic site was very interesting and well worth the effort. It has been brought to my attention that the mansion was no longer open to the public for a short while (it is apparently reopened now though). Perhaps the busy schedule that the mansion has been maintaining is responsible for the lessening of activity (based upon what the TV teams reported there). It would be interesting to re-visit this location after a period of lesser attention. I am saddened to report that the mansion has been sold. Reportedly, paranormal investigations are no longer available or allowed by the new owners. Now I’m really glad that we were able to experience this location before it was closed. This is a local residential case. Paranormal reports from the client include objects being moved, EVP’s, shadow people and feelings of being watched. The clients here were a mother and son. We have visited this location twice and have since closed this case. While we were investigating this location, several of my team reported feeling like they were being watched or that they felt like someone was standing right behind them only to turn around and find nobody anywhere near them. Our EMF meters were also quite active as well. A temperature drop of over five degrees was measured and when I immediately took a photograph of this area, it had an orb floating right where the cold spot was documented. One thing that happened that was very interesting to me was that whenever the mother had an EMF meter, it would be almost constantly going off. One of my team would take her meter and without moving it, it would completely go inert. Then when handed back to her, yep you guessed it, it would start going off once again. The same thing happened again when we began a Mag-Light session. I or my team would ask a question and nothing would happen but when she asked something, the light immediately would come on or off as requested. This was the only time, to date, that we had experienced this. Prior to our coming here, the son recorded several EVP’s and was able to capture a woman saying the name Paige. While we were not able to find anybody by that name in our research, we also captured a woman’s voice saying that same name. Now we had our psychic do her walk through of the site and she picked up on a woman and a man. She stated that the woman had a name that started with the letter “M”. She then went further to add maybe Mary or Margaret as possible names. Well it turns out that Mary was the name of the client’s husband’s mother. The husband had passed away recently. The psychic felt that the man present was in fact the husband. He was upset because he couldn’t make his family realize that he was still there watching over them. We gave him that opportunity and acknowledgment. On this investigation, I decided to use my dowsing rods in an effort to allow direct communication between the husband and his family. This was very successful and the spirit gave some rather personal information that was known only to the family. He also indicated that he had gone to heaven and came back frequently to be with them. This was a relief as we now knew that he wasn’t trapped there. During our two visits, we were able to capture quite a few EVP recordings with knocking sounds in direct response to the questions being asked. Footsteps and whispered voices were also captured here. We also included several photographs of orb activity too, but the real surprise came on the video. At one time during the investigation, one of our static cameras captured my people enter the home and proceed down the hallway to the basement door. All of the house lights were off at this time. As the Lead Investigator was standing in the hallway talking to his team, the basement light snapped on. Nobody was even close to the light but the switch was actually turned to the “on” position. Needless to say, they were rather startled (wouldn’t you be too???). Once we had finished our investigation, I spoke to the family again and they felt very relieved that the indications were that the presence there was family and specifically the husband/father. This is always our goal, to give back “peace of mind” to our clients. It also goes to show the power of family and love. This investigation was conducted at the Sycamore/Rawson house in South Hadley. This was an old home, school and then a dormitory for Mount Holyoke College. It (Sycamore House) was built in 1788 by Ruggles Woodbridge at 28 Woodbridge Street. Then in 1819, upon Woodbridge’s death, it became the Woodbridge Scientific School until 1835. It was purchased from the family by Joseph Skinner, and then later purchased by Mount Holyoke College in 1937. It became a dormitory for the school, housing approximately 15 women. In 1999, the Sycamore Committee purchased the building from Mount Holyoke College and began the exterior restorations which were completed in 2001. Now for the strange history of the Rawson house. It was built in 1733 and is the oldest building in South Hadley today. Our friend Ruggles Woodbridge bought the Rawson house in 1787, which was at 28 Woodbridge Street and had it moved to 40 Woodbridge Street. Then he began construction of the Sycamore House on site. Now, once the Sycamore Committee purchased the Sycamore House, they were offered the Rawson House by the current owner. They then had the Rawson House physically moved back to 28 Woodbridge Street to it’s original location and attached it to the back of the Sycamore House. So, now enter Agawam Paranormal. We had worked at several locations for the South Hadley Historical Association and had/have an awesome relationship with them. The President of the Association asked if we were interested in investigating the Sycamore/Rawson House as a part of a Ghostology presentation. I agreed and we set up some dates to visit. We visited the site on two different occasions and had several very interesting experiences there. We were informed, very early in the process, that this site had been a part of the local underground railroad that smuggled slaves out of the country and north to Canada for safety. In 1945, a major storm hit the area and downed and uprooted a huge tree on the property. The hole created by the tree opened up into a 400 foot tunnel that ran from the basement of the Sycamore House to the South Hadley Commons. When the workmen examined the tunnel, they reported that it was in fine condition before but had been badly damaged by the tree falling and the walls had begun to crumble. This article was printed in the Holyoke Transcript on August 31, 1945. On to the investigations. During our time on site, we conducted our usual scientific minded investigation efforts with two teams. It was noticed very early that there were quite a lot of EMF readings that seemed to be natural and explainable. Then there the ones that weren’t so easy to dismiss. In one of the rooms on the first floor, two investigators each found a very strong EMF reading. While one was able to trace the signal towards the floor, leading us to believe that the reading was from the electrical panel in the basement, the other could not trace her’s anywhere. It gave the impression of someone sitting on the sofa and then it completely disappeared! We also employed our Mag-Lights here too and got some more interesting results. There is a beautiful doll house on the third floor and we decided to use it as a platform for a Mag-Light session except this time we added a Geophone to the mix, right next to the Mag-Light. What was interesting was that whenever the light would come on to answer a question the Geophone would show vibrations. All of the investigators were seated and still during this session. While not proof of anything, it was really interesting. The audio for this location was a total bust as the house just simply conducts sounds too well from one part to another. But during some of the EVP sessions, investigators reported hearing tapping sounds that seemed to be responding to the questions being asked. My team also reported the feeling of being watched the entire time that we were there and simply feeling uneasy too. Hope actually felt the camera she was using get pushed while she was trying to take a photograph on the 3rd floor! We also seemed to be plagued by battery issues. Battery draining can be a major problem on some cases, it is believed that the spirits can drain our batteries to try and give themselves the ability to let themselves be known. When I first began Agawam Paranormal, I really should have bought stock in Duracell (what’s funny is that I just actually opened a device to make sure Duracell had two “L’s”). My psychic did her walk-through and felt the presence of an old lady (by her appearance, in her 70’s) in one of the front, first floor rooms just sitting there simply looking out the windows. We believe that she was only a residual presence as there was no attempt at communication by her or acknowledgment of our being there, she just kept looking out the window. The second spirit that the psychic sensed was in the basement and was a young man approximately 25 years old. He was a former slave (this was the second time we believed we were dealing with a slave during an investigation) that was attached to the underground railroad on site. He was intelligent and aware of us but he was simply too afraid to respond or approach us. He would hide and peek around corners to watch us. One of the personal experiences that happened there was in the basement by two of my investigators. They felt something pass between them and one of the few times that luck plays in our favor, the team photographer was taking a picture of them at the time. Upon review, there is a nice big and bright orb floating between them! The psychic also said, at that moment, that the slave had just run by them. Again, not proof of anything, but interesting to say the least. As far as potential evidence captured on site. There was no usable audio collected here due to conditions present, several photographs show orbs floating around including the one between the two investigators and the video also captured a nice orb floating away from a baby rocker in one of the rooms. This was also one room that had roaming EMF readings. This was a great location for us to investigate and we had a lot of fun here too. There’s just something about working in an historic site that just appeals to me as you never know what you may find. I am hopeful that we will be able to return here some day and try some of the new equipment that we always seem to be adding to our arsenal. This was a residential case in Brimfield. The client was actually reportedly a psychic for another team and she was now having problems in her own house. One thing that was very odd to me at the time was that her own team refused to investigate and work with her. I should have thought twice about this case but I have a very difficult time turning my back on someone in need. We investigated this location on two different occasions but did not find any supporting evidence for paranormal activity, that also includes having our psychic doing a walk through and investigative work too. I can tell you that the hardest thing to deal with while on a case can easily be the clients themselves. During our two visits, the clients (her and her boyfriend) were more interested in trying to polish off a case of beer than in our attempts to help them. In my experience, if someone is really experiencing paranormal activity, they tend to be much more involved with the evening than just stacking their empty beer cans in the sink. Those are not the spirits that we were looking for. Since we didn’t capture any evidence on site, this case is closed and there is no evidence DVD for the client as there is nothing to show them. This was a residential case from Springfield that we investigated and was the only case, so far, that I recommended that the client contact their church for additional help. Once contacted by this client, I immediately placed this case in an “Emergency” status as there were children directly involved. We then set-up a meeting at a local Dunkin’ Donuts for our initial interview and paperwork portion of the investigation. The husband and wife seemed very nice and were obviously upset about the things that were happening in their home. To put things into perspective, while the wife/mother was a housewife the husband is a local Police officer who always takes a “no nonsense” approach to life and situations in general. They had had enough and needed help fast. During the interview, the fear that this family was going through became more obvious. They had all been sleeping in their living room, going so far as to put the children’s mattresses there for them as this was the only way that the children felt safe at night. They shared so many different experiences (I’ll list some of these here) that I had no doubt that there was something plaguing this location. After the meeting concluded, Hope and I were driving back home and we were pretty upset that something would torture such a warm family, it really made me angry. I immediately assigned this case to the Research Department and gave this case priority over all other work being compiled. Their results were interesting. It was quickly determined that there had only been one other person that had actually lived there in that house, and he was the original builder. Research showed that he did not have any family himself and all reports pointed to him being a bit of a jerk in life as he really seemed to hate people in general. This became my immediate suspect for the activity as consider if you don’t want to be around anyone and a family has the nerve to move into your old house (that you stayed in after death), it began to make sense to me as to why the activity was happening. The previous owner was a jerk in life and hadn’t changed in death, this was still his house and he was going to kick them out. Now, this was only a theory, but it did seem to fit all of the facts and reports from this case. Some of the reports from the clients as to activity in the house were: the husband saw a blonde girl’s head floating near the stairwell for the second floor. There was a rocking chair in the living room that would start to rock back and forth and then stop all on it’s own. The door to the basement would open on it’s own and then slam itself shut. They would all hear sounds in the house including voices calling their names, banging and knocking, footsteps, what sounded like someone pounding on something in the basement with a sledgehammer, a “Big Wheel” riding around upstairs, a rumbling/growling sound from basement. And that’s just the sounds heard! They all reported seeing black shadows throughout the house and feeling like they were constantly being watched by something while in the house. One child reported seeing a girl with a cat in his closet, just sitting there looking at him, and in a separate happening, he had one of his X-Box controllers thrown at him. He ran downstairs and the family could hear sounds of a “scuffle” coming from his now empty room! Electronics would turn themselves on and then off again too. Candles would blow out right in front of the family, for no apparent reason. And there was a rotting smell coming from their kitchen periodically that was never explained and couldn’t be traced to a source. Even their pets were being effected too. They had a dog and two cats (one being a kitten) that would definitely react to the environment either by staring or barking at nothing, but being completely focused on a single area or spot. The cats would run away and hide. On one occasion, the wife was down in the basement working on laundry when the kitten decided to come visit her. She noticed the cat coming down the stairs when it stopped at about the half-way mark and began to hiss at nothing. The next thing that happened was that the kitten was, what looked by the wife, to have been kicked from the stairs and flew across the basement to land in a pile of clothes. Needless to say, this really shook up both the client and her kitten. They both immediately went back upstairs and then she heard what sounded to her like a freight train running through the basement! Pretty intense!!! There was always a very heavy felling in that basement. Now, as bad as all of the is, the final straw for this family was the wife actually being thrown down these same basement stairs on three different occasions over a period of several months! The third time was that final straw and they then reached out to me and Agawam Paranormal. When we came in to investigate this home, we really weren’t sure what we were dealing with. All we knew was that there was a family in dire need. I ran with two teams that night and there were many personal experiences from my people there. One team actually heard the loud “rumbling/growling” sound several times while in the basement. They also heard whispering during the evening while still in the basement. There were also knocking or banging noises heard throughout the house that seemed to be answering questions asked during the investigation. While one team was in the basement, getting ready for an EVP session, the client (wife) let out a scream that something had just grabbed her ankle. She then ran upstairs, with one of my people close behind her for safety reasons, and came back to Command Center. She was visibly very upset as she was shaking and crying uncontrollably. Once she was able to calm down, she told us that she feels personally threatened by the spirit and believes that it enjoys picking at her. There was a K-2 meter, on a table right next to her, that started going off to the maximum reading for no obvious reason. The impression was that the spirit had followed them upstairs and was continuing to let her know that she was not alone. Other pieces of equipment were also very active at this investigation. For example, the Rem-Pod was going off with nobody even being on the same floor. Motion sensors would turn on, in progressive order, as if something was walking around the house. This was really interesting as it seemed that you could actually track the progress of something moving through the house from one room to another. EMF meters would also react to something in all of the “hot” spots in the house. It was just a very active evening here. One thing that I noticed was that the activity was dramatically lessened whenever the husband was at home. While he did have many experiences himself there, they seemed to be less intense with him home. The wife definitely seemed to be the target for most of the activity present. Potential evidence captured on site included both photographs and video. We didn’t seem to capture any audio evidence here but now that we are using a much more sensitive program to review our audio, I am planning on re-reviewing all of this audio soon. The video clearly shows the motion sensors tracking something moving through the house and several orbs as well. Pretty much the same thing with the photographs too. After leaving this location and reviewing the potential evidence, at the request of the client, I reached out to a Catholic Priest (the first and,so far only, time that I have involved the church) to set-up a house blessing for the family. I explained the situation to him and verbally shared what we had both captured and experienced. He agreed to make an appointment to come to the house. Now, in order for any church involvement to be effective, the formal request for services must come from the actual homeowners and not from me. While I arranged for things I cannot ask for them to be done. This is a symbolic action taken by the owner to take back their home from the spirit. The client then called the Priest and asked for his help. The Priest came out several days later and while a normal blessing takes only 15 to 20 minutes, he stayed there for almost 2 hours blessing the house as well as the family members too. I received a call from the client several days later and she told me that the blessing was a complete success and that the house felt completely different and lighter. She said that it was like someone had flipped a light switch there. The entire family was even now back to sleeping in their own bedrooms again! The house had now become a home again. To date, the activity has completely ended and has not returned. This was a local commercial case and investigation. Due to this client’s request for confidentiality, I will be purposely vague with location details. This building was built in either 1890 (according to the Assessor’s Office) or in 1850 (according to the National Register of Historic Places). While we did get evidence that there was a paranormal presence here, we did not get any indications that there was anything evil or angry here. The client first approached me through some mutual friends and we set-up a time for a walk through of the location as well as the interview and other paperwork. The client reported seeing an apparition of a little girl in the basement, she could also be heard to be crying on occasion. There was also a report of an apparition of a man sitting in a chair in another area of the business. Beyond those experiences, the client reported that objects had been moved, employees felt unexplained cold spots and that lights in the building had a habit of turning themselves on and off with the switch being actually moved to the new position. Something very odd happened during the interview, we were conducting the paperwork aspect of the investigation and I kept seeing movement from the corner of my eye at the top of the staircase banister railing. It was distracting and kept causing me to glance over in that direction. I caught a glimpse of, what appeared to me as, a little girl’s head and shoulders as she was peeking around the railing at us. There was nobody there. During our investigations here we experienced some very interesting things that literally went bump in the night. Sounds were heard from other areas and levels of the building including footsteps (walking) also a client report, footsteps (running, like a child would make), things being moved in the kitchen and actual voices were heard too. The voices could not be understood, they were more like mumbling but were heard by several members of my team. EMF readings were also present here. At one time, the team realized that the readings would spike, through the roof, whenever the coffee maker and the water feed were active. We brought this information to the client and they replaced the faulty equipment as both employees and customers were being directly exposed. This also seemed to lower the levels of paranormal activity as I suspect that the EMF levels were responsible for some of the activity through hyper-sensitivity of EMF by some people. This is a documented happening as it creates what is referred to as a “fear cage”. Once we became aware of this issue, we were able to work around it by conducting our EVP sessions in between the coffee/water activity. We did also notice that the EMF meters were seemingly answering questions and were responsive when used with a “trigger item”. Since we were told of the possible presence of a child, we decided to set-up several toys around the site to act as a point of interest for her. In the basement we had a ball in the middle of the floor (on camera) and invited the little girl to play with it. We also used a doll in another area of the building also inviting the child to come out and play. This time we had an EMF meter set right next to the doll. The meter immediately went off as we were inviting the child to come and check it out. Motion sensors were also coming on for no apparent reason too. The motion sensor placed in the basement was turned around, facing the wall, during an EVP session. It kept lighting up, seemingly in answer to questions being asked. The motion sensors throughout the building would also come on, again for no apparent reason as there wasn’t even any people in those areas. Other things that happened here included our equipment having it’s batteries being drained, especially hand-held cameras. At one point, two investigators were in the basement and felt a “chilly breeze” move in between them. The air down there was very still, no breezes and warm. One of my investigators is proficient with using crystals and was able to get the name “Gabby” one letter at a time as a possible spirit here. Could this be the little girl”s name??? While I’m not sure just what might be hanging around here, I am sure that there is nothing to be fearful of. The evidence captured on site simply does not support anything evil being here. We were able to capture some audio of things being moved in the kitchen area, only one photograph with an orb in it and some interesting video showing both orbs and motion sensors turning on. All in all, this was a very interesting location for us to visit. This investigation was conducted at the Henry Woods building in Barre, Ma. This location was built in 1900 and was originally used as an area high school. In the mid-eighties it began service as the Barre Town Hall. The Henry Woods building has been in operation continuously since February 1st of 1900 to present. The current employees here have reported hearing “phantom” noises, typing and clicking sounds, footsteps and voices. One of the more mischievous occurrences happens annually during tax season. The calculators seem to take on a life of their own and will add numbers to the tape without being typed and the tape itself will start rolling out of the machine on it’s own! They actually replaced the machines with new versions, but the malfunctions continued. One of the witnesses of paranormal activity here is the actual Chief of Police (at time of investigation). He reported being in the Police station and seeing a man in a white shirt standing inside the building near the entrance doors. Since this was after hours and the doors require that someone be “buzzed in”, he knew that nobody was there (he was also alone in the building, at the time). He called out to the man and instructed him to come to the dispatcher’s window, there was no response. The Chief then went out into the area where the man had been, nobody was there. He then proceeded to search the entire building, knowing that he had seen someone, but nobody was found on any floor!!! Now while I have listened to many witnesses, over the years, and I always take their reports of their experiences as fact, it is extremely difficult for me to come up with a more creditable witness than a Chief of Police. Especially when you consider that a Police Officer is trained to be observant and very detail oriented. They tend to make a very substantial witness to the paranormal. Agawam Paranormal investigated this location on two separate dates. My investigators immediately reported felling like they were being watched and finding/feeling unexplained “cold” spots. Our equipment was also experiencing battery drain quite frequently and members were constantly returning to Command Center to change out their batteries. Unexplained EMF hits and knocking noises were also present and seemed to actually answer questions during some of our EVP sessions. Footsteps and “scuffling” sounds were also heard from within the same room that my team was working in, usually from an empty corner! Investigators also reported seeing shadow figures, one time appearing just after the sound of double doors slamming shut! Since this building was a former school, it was no surprise to hear the sounds of children too. A girl’s voice was heard coming from the basement area (the former gym) and upstairs on the third floor, another double door was heard to slam followed immediately by the sound of a child either moaning or humming, coming from the same direction. Then approximately one minute later, a young child’s voice was heard coming from that same area! Another strange happening was that most of the members reported occasionally smelling cologne throughout the location. The scent would appear and the just as fast disappear again. This was reported to be the same cologne that a former Chief of Police wore! This was one of our theories for this location. Another report from the clients was that an Officer was taking a nap upstairs between shifts and was awoken by a man’s loud voice ordering him to “wake up”. There wasn’t anybody there! The psychic felt that there were several spirits present here in the Henry Woods building. She made contact with a young man of approximately 17 years of age that was a former student and for whatever reason, decided to stay around. She also picked up on the former Chief of Police too. Some of the guests present those evenings actually knew this man in life and were very surprised when the psychic began to give details from the former Chief that she simply could not know, including a message for his family! He left the psychic with a final message of “Please, don’t forget me”. When we presented this location for one of our library programs, in Barre, some of the former Chief’s family and friends were in attendance and it was very soon discovered that everything that the psychic had been told was relevant and accurate. As to our potential evidence captured on site, we did get a very distinct chuckle, during an EVP session, coming from the office with the calculator problems when asked if they (spirits) were responsible for the machines acting up during tax season. We also had recorded knocking sounds that seemed to be directly answering questions. There were also some photographs of orb activity present. The video was interesting too as we got footage of orbs going through the frame and interacting with other equipment such as motion sensors or Rem-Pods! This is rare when another, separate, piece of equipment also reacts at the same time. This location was really very interesting for us to investigate as it does have a long historic life and a real “personality” all of it’s own. We believe that the spirits there choose to remain and are not actually stuck there. Perhaps, they come and go but for whatever reason are attracted or maybe simply interested in still being a part of things here. I would love to return here, one day, to see how things are for the spirits here and to see if they have any further messages for the living. This case number was created for a potential historical case that never happened. This is a residential case from Chicopee. The client contacted us through a relative that was a member of the team. They were reporting feeling like they were not alone. Several members of the family actually reported seeing a dark shadow figure throughout the home! The client, herself, reported being awoken and seeing a man standing at the foot of her bed just watching her. She told me that she had never been as afraid as that ever in her life! The daughter would ask her mother if she was trying to wake her up during the night as she kept feeling someone grab her leg. The young son would also tell of being afraid of sleeping in his room as a doll would “pop up” in different places in the room and scare him! As I am writing this, I can’t help but think of the scary clown from the movie Poltergeist. The house itself was built in 1920 and our research determined that two people did, in fact, die there. The first was a 15 year old girl way back in 1913. Since the current house was not built yet, she must have just died on the property. The second was a man (previous owner) in 1933, but information on him is very limited and sketchy. But it appeared that he was a farmer and that would match the apparition that the client saw in her bedroom. 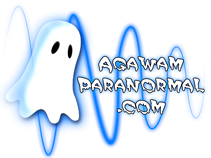 Agawam Paranormal conducted two investigations on the property and in the home. The children were staying over at friends houses for each evening. We set up our cameras and equipment throughout the location and began to take readings. Most of the readings that we got, that were very high, were able to be immediately debunked by my resident electrician as being caused from the service coming into the house and the grounding of said service. But not all could be debunked so easily. Electrical problems do not explain the meters answering question asked of them! During some of the EVP sessions conducted there, the EMF meters would light up or shut off on request, seemingly answering questions asked either by the client or by my team. The Mag-Light was also very conversational here as well. It too would seemingly reply to questions or statements pointing towards a family member as still being present watching over the family. At one point during an EVP session, the client was asking direct questions about the identity of the spirit present and it seemed to be one specific relative that was there. The client was actually brought to tears and was feeling very emotional. This was the person that she was hoping might be there. My psychic had already told me that this was the person that she believed was still there too. During the investigations my team reported getting “creepy feelings” and getting goosebumps in certain areas of the house, especially in the basement. They even heard a whisper from an empty corner of the basement! While still in the basement, they heard the sound of something being dragged and scraping the floor right above them and then shortly after that they also heard the sound of footsteps walking too. Nobody else was in the house! Motion sensors would constantly light up as if someone was moving in front of them, with again nobody being present and unexplained cold spots were also felt by most team members. After our investigations were completed and the potential evidence reviewed, we discovered that we had captured some pretty interesting things. The audio was largely contaminated due to the house’s close proximity to a semi-busy street but we did manage to get the sounds of knocking noises that seemed to be answering questions. The photographs showed some nice orbs and reactions from our equipment to something present. The video had a couple of clips that caught my eye. One was a really bright orb that moves in the kitchen and the other was showing the team during an EVP session as they hear something behind them and they react accordingly. I haven’t made any real conclusions here with this case. I do suspect that it is very possible that the more negative occurrences might be caused by sensitivity to EMF fields on the part of the family. While we did get evidence of a possible family member being here, we did not get anything supporting the presence of anything evil or malicious in nature (that also includes the psychic’s intuitions). I also believe that the man that the client reported seeing was probably residual in nature too. Only time will tell. This is a residential case from Chicopee. This is a commercial case from Wilbraham. This is a historical case from Southwick. This is a residential case from South Hadley. This is a residential case from Ludlow. This is a commercial case from West Springfield. This is a historical case from Granville. This is a residential case from Hadley. This is a residential case from Holyoke. This is a residential case from Westfield. This is a residential case from Bloomfield.